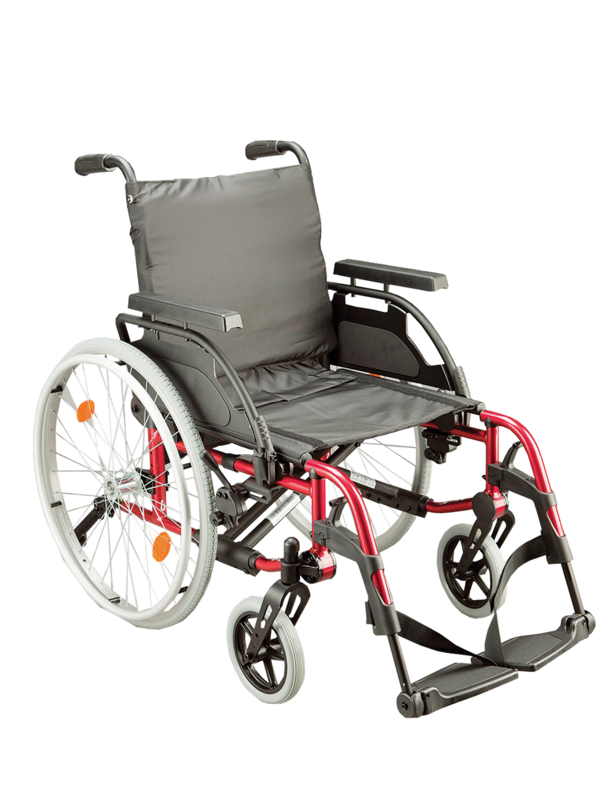 Self-propel wheelchair with adjustable push handles, seat depth, seat height and footplate angle allowing chair to be adjusted to suite individual requirements. Swingaway removable legrests and swingback removable armrests. Breathable padded nylon upholstery. Tension adjustable backrest, seat to back connecting flap. Heel straps. Transport tie down points. Anti-tip bars and rollers help prevent tipping. Quick release rear wheels for easy storage and transportation. Lightweight aluminium folding frame.